Huawei’s Honor brand at an event in China teased the company’s V20 smartphone, successor of last year’s Honor V10 smartphone. 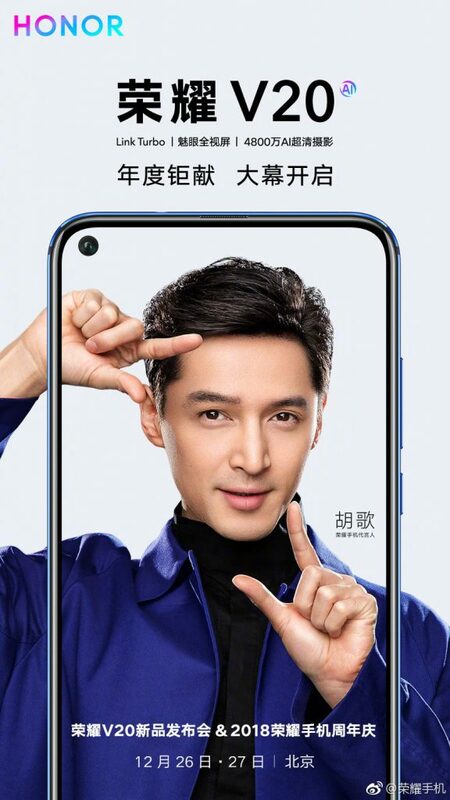 This is touted as the world’s first smartphone with in-display camera, before Samsung unveils the Galaxy A8s with a similar in-display camera today. Honor calls this All-View display since it just has a 4.5mm cut out for the front camera for the front camera. The company says that even landscape mode does not affect the visual experience. The company says that it has used 5-axis ring dispensing, 0.1mm percuision assembly smf customized camera lens to achieve this. It has also applied for 5 patents. Another highlight of the smartphone is its 48-megapixel rear camera sensor, beating Xiaomi’s 48MP phone that will arrive next month. This uses Sony IMX586 1/2-type (8.0 mm diagonal) sensor, uses 4-in-1 light fusion that outputs better low-light images at 12MP resolution and 4-times improved HDR support. It will be powered by Huawei’s latest Kirin 980 SoC offering 46% improvements in camera speed and 134% improvement in AI imaging capability. The phone has Link Turbo automatically analyze users’ usage models and network conditions to switch seamlessly between Wi-Fi or 4G networks and boost downloading speed by simultaneously adopting both networks. 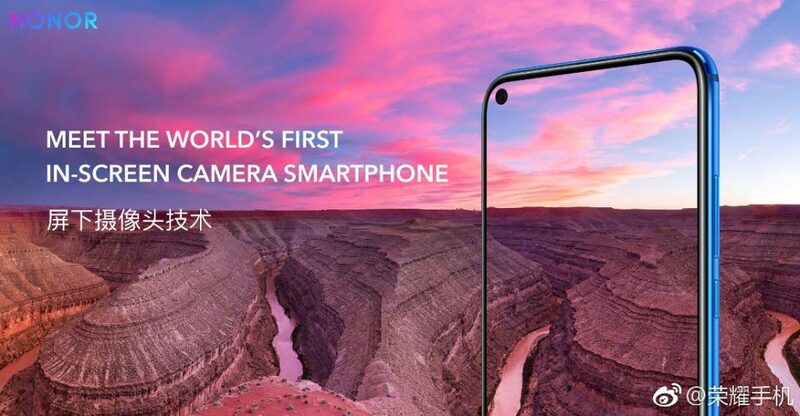 The company will reveal other details including its price on December 26th and the phone will be introduced globally on January 22nd as View20 at an event in Paris, France. As a trendsetter, HONOR continues to push the limits of innovation and product craftsmanship, we endeavor to continually deliver technology breakthroughs to the world and deliver exceptional experiences for our users.